It is obvious that the attorney was working and sharing information with the prosecutor. The attorney was sharing our strategy. 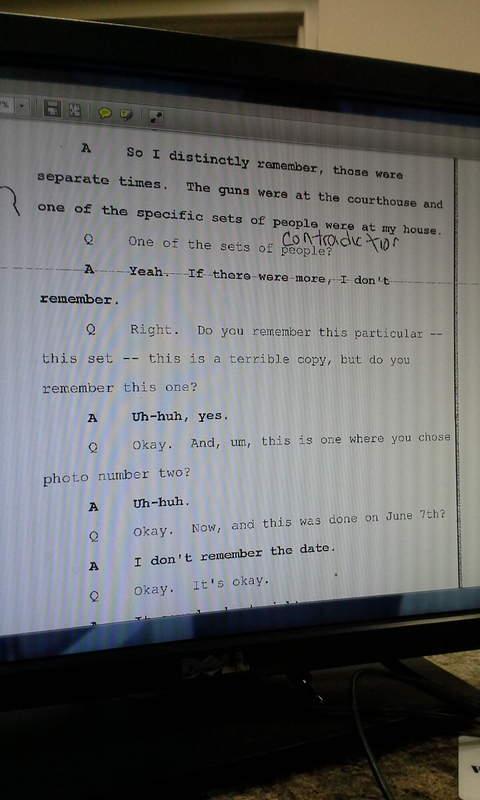 One of the depositions in the appeal on record is my copy because it has my notes on it. To assist my son’s attorney, so that they could start right away, I gave them copies of what I had. I figured it might take a while before they received their copies and I wanted to give them a running start. I made copies of everything I had(in triplicate) and gave it to the attorney. It is obvious that he shared it with the prosecutor because it is the one with my handwriting and notes that is in the official record. 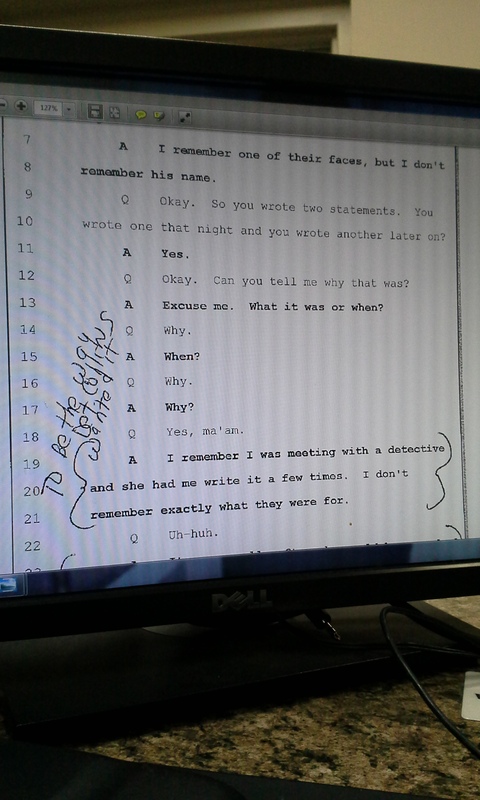 Below, are a few pages from the deposition with my notes, my handwriting. I had to take a picture of it with my phone in order to post it. 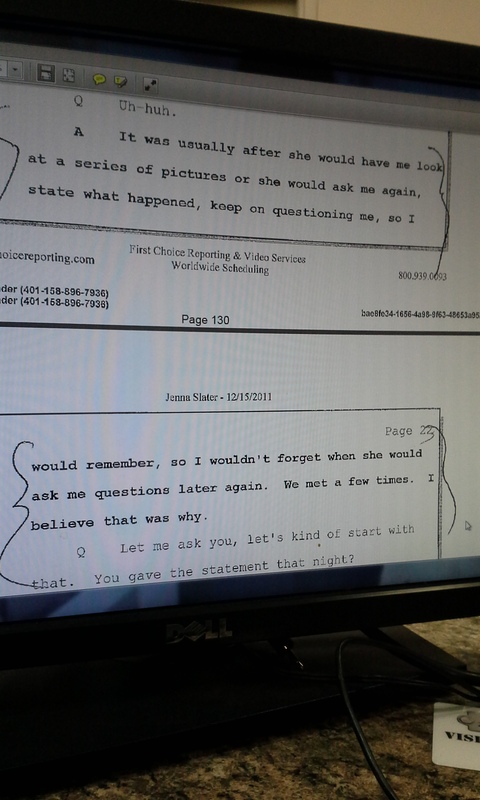 Blatant Lies By the Victim………Was she manipulated?